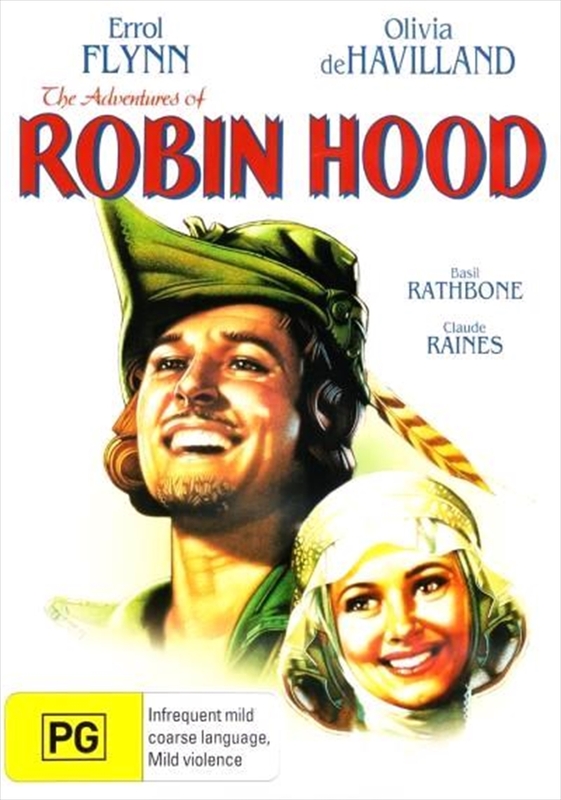 Dashing Errol Flynn triumphs in this lavish, fast-paced version of the Robin Hood legend, a winner of three Academy Awards in ravishing Technicolor. Doing many stunts himself, Flynn is at his athletic, romantic best in a role originally intended for James Cagney. Olivia de Havilland (as Maid Marian), consummate screen villains Basil Rathbone and Claude Rains and a boisterous who's who of character actors co star.